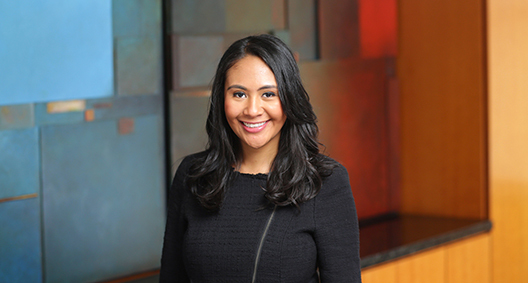 Erica Barrow is a commercial litigator. She represents her clients in state and federal court in complex business litigation. Erica's experience working as a law clerk, combined with her resourceful and innovative approach to her work, allows her to effectively advocate on behalf of clients. Regularly appears as appellate and trial counsel in various matters defending allegations of fraud, breach of contract, breach of fiduciary duty, shareholder derivative claims and other business torts. Successfully defended a nationally-recognized sweepstakes and marketing brand in advertising class action alleging the company engaged in deceptive marketing practices. Defended New York-based biotechnology company in data privacy putative class action resulting in favorable settlement. Defended client against allegations of political corruption lodged by governmental agency. Member of the BakerHostetler team serving as court-appointed counsel to the Securities Investor Protection Act (SIPA) Trustee for the liquidation of Bernard L. Madoff Investment Securities LLC (BLMIS), an unprecedented recovery effort involving hundreds of actions. Represents the Trustee in litigation against a Madoff insider involving active discovery disputes and motion practice. Successfully appealed an order of removal in an immigration matter to the United States Court of Appeals for the Second Circuit seeking Withholding of Removal and protection under the Convention Against Torture. Served as special assistant corporation counsel for the Law Department of the City of New York. Conducted and defended numerous depositions on behalf of the City of New York in various tort lawsuits.